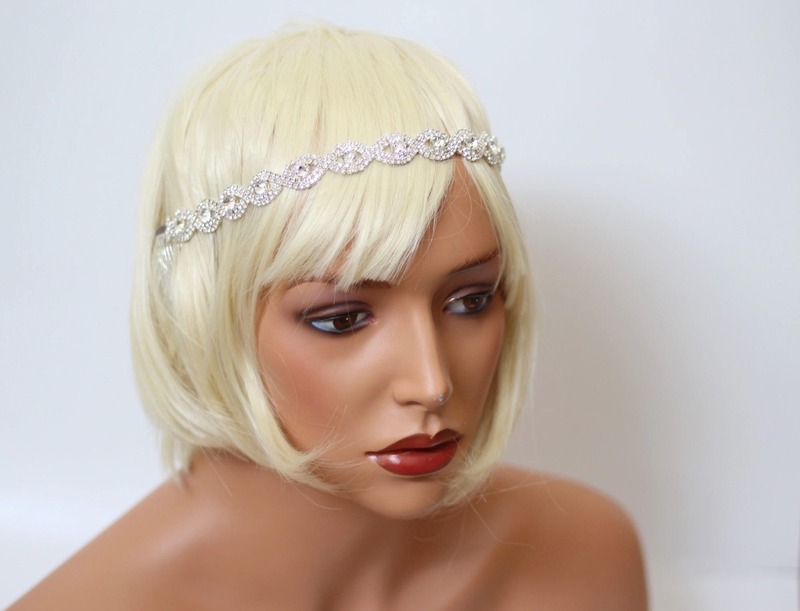 This hairpiece is made with a high quality rhinestone trim and two metal hair combs. 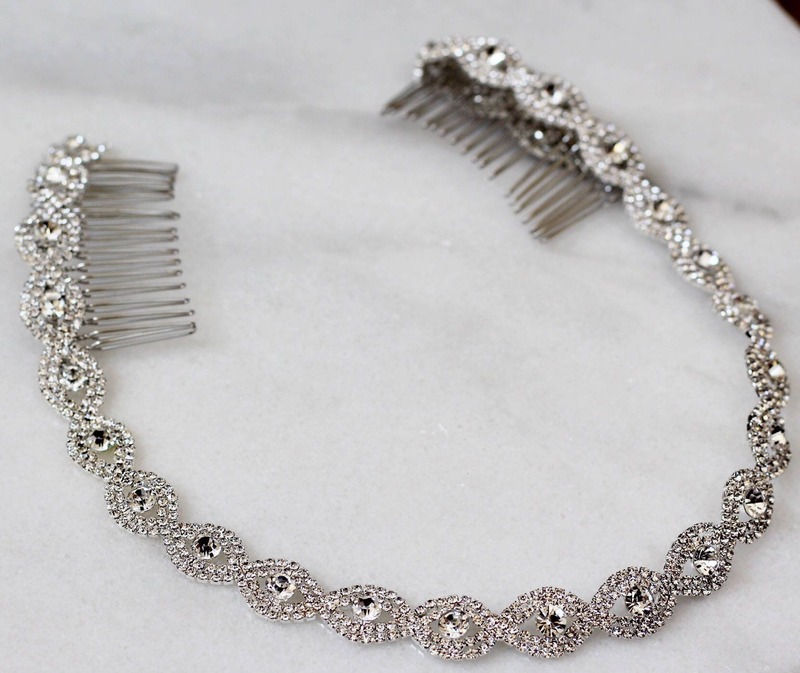 The hair combs hold the rhinestones up and are "invisible" when they are in your hair. 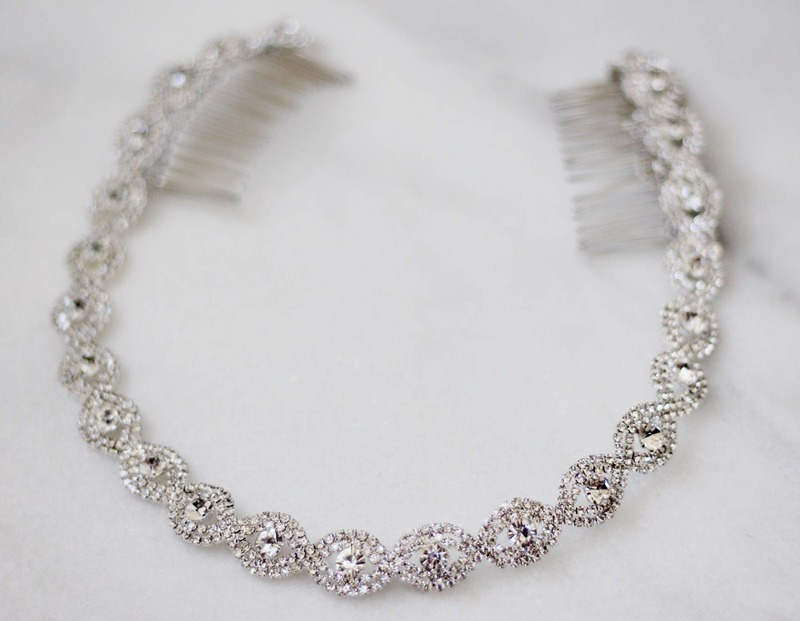 This comb is meant to be worn on back of your head, I have a larger one that is meant to be worn on the front available in my store. 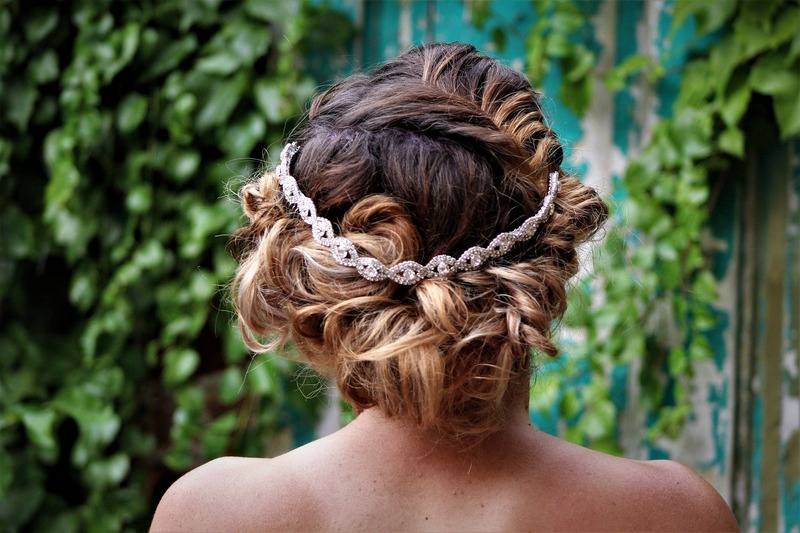 This is perfect for updos and downdos. Message me if you have any custom requests!